6/29-6/30: Ball and Chain II. 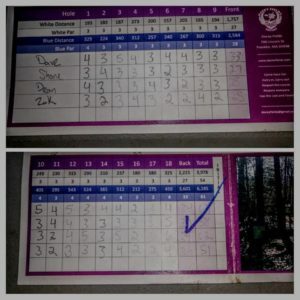 Greg Dowdell ran his second Ball and Chain event, featuring a round of 9 holes at Maplegate (where he is the course pro) for some doubles ball golf, then a round 18 doubles of Disc Golf at Dacey. Congratulations to Dan Snyder and John Giampapa for taking home the W! 6/30: Zack Maron ran a private event of about 24 people on Saturday Afternoon. I stopped by to collect some stuff from the shed as they were setting up. They seem to have a pretty good traveling thing going on here! 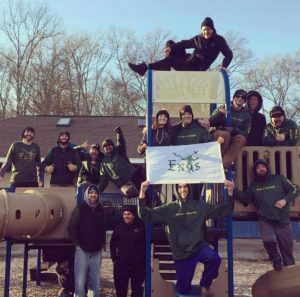 Thanks to Zack for reaching out to us about running a private event! Also thanks to the players who respected their space! 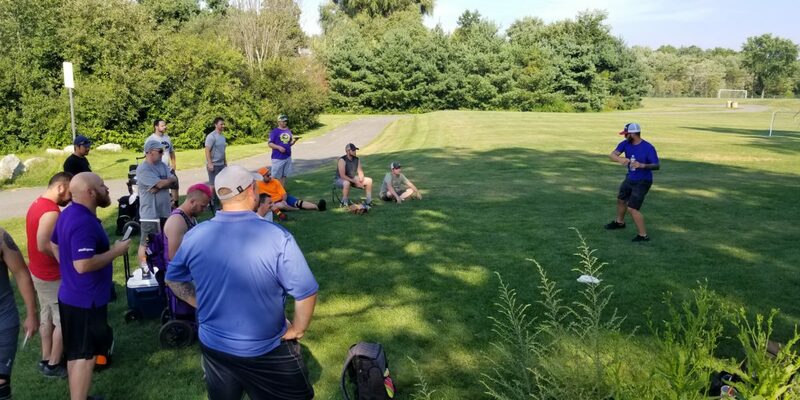 7/1: Jeremiah Libby ran a BYOP (Bring Your Own Partner) Cash Doubles event in the hottest muggiest day of the year and pulled 14 teams for it! Congrats to Sam Henderson and Shane Wyatt for taking down pro with a two round score of 100 (!!!) and to Eric Wilson and Carlos Alvarado for taking down AM with a two round score of 113. 7/7: Team(s) Dacey Try out 1: Alex Sakash, Chuck Edman and new captain of Dacey 2 Paul Sales are conducting try outs for all interested parties in participating in Team Challenge this fall and winter! Team Challenge is a winter league where course teams square off in a round of match play, then play doubles stroke play to crown a victor. 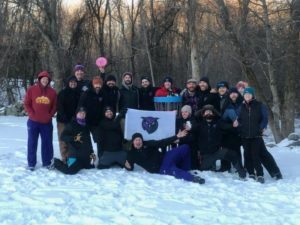 Dacey 1 has limited spots available, but Dacey 2 is actively looking for players! Come one, come all at 10am! Show up to 1, 2 or all try outs and find out what its all about and if you have what it takes to be an Owl! 7/14: Dacey Admin team brings back the Trilogy Challenge to Dacey! This event allows players to test new Trilogy Molds in a competitive, yet laid back environment. 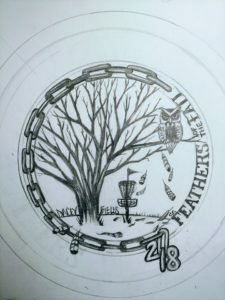 As it was last year, we will have a raffle table featuring goodies from Infinite Discs, Prodigy Disc, Grip6, Ridge Roller Customs, Birdhouse Disc Golf, and Arsenal Discs. 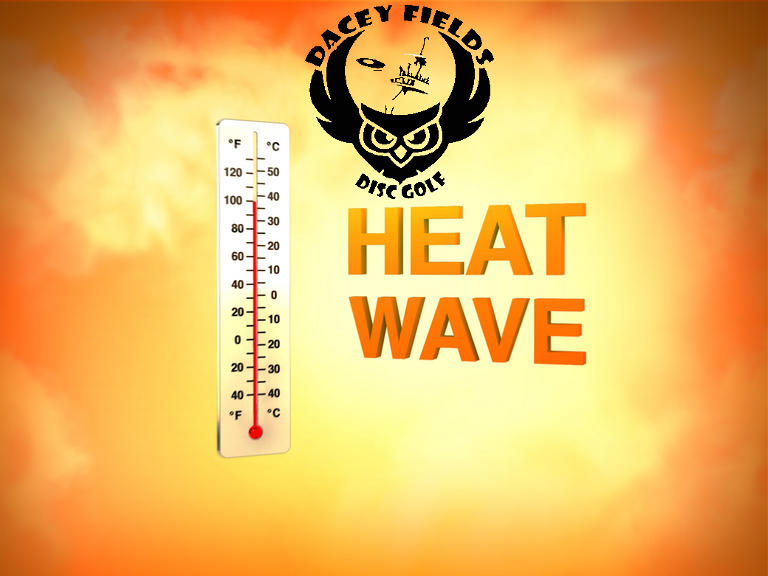 7/16: Team(s) Dacey Try out 2: 530pm start! 7/21: Team(s) Dacey Try out 3: 10am start! 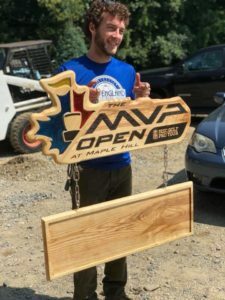 Raivis Markons-Craig is running a sanctioned PDGA league at Borderland Disc Golf on many upcoming weekends. We encourage you to check out his league, as well as Borderlands’ regular league on Thursday evenings hosted by Jon Cattel. 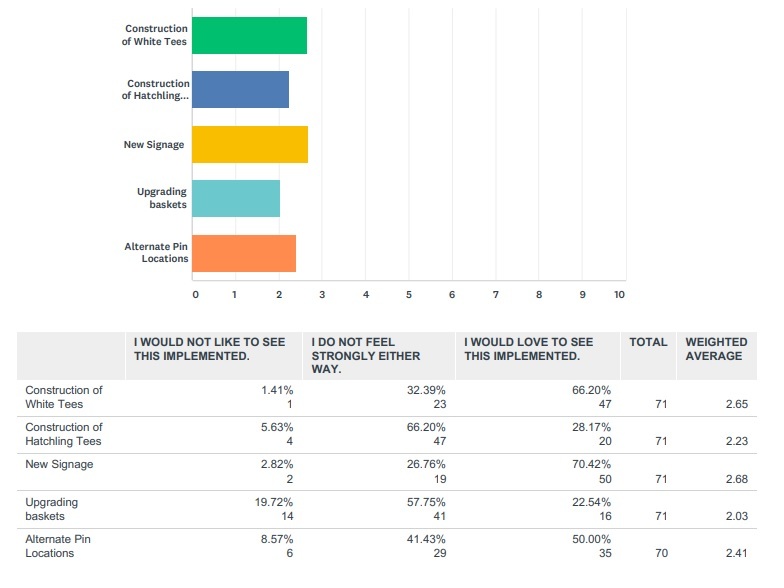 Unfortunately Stephen and Tara Scansaroli are going to be moving north soon to New Hampshire. No matter how far they are, the Scans’ clan bleeds Dacey Purple and will always be a big part of our community. 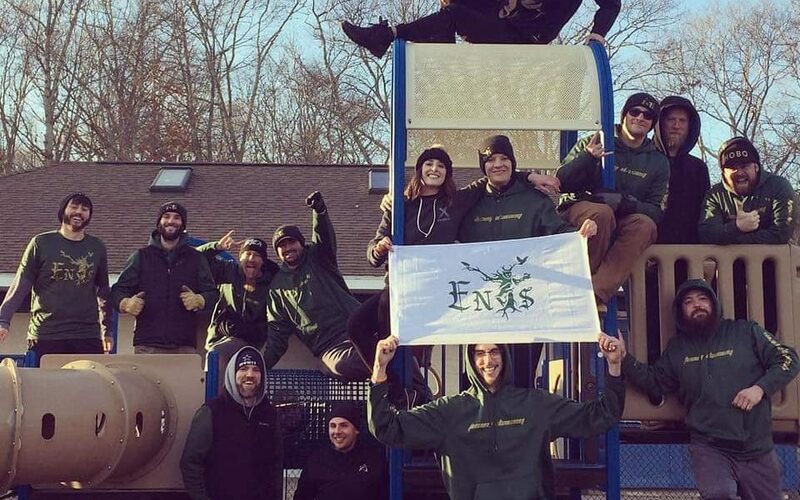 As a farewell, Scansy is thinking about offering a fun event as a going away bash. Keep your antennas up for that! Hopefully we will see you all out there soon! Remember your sunblock, and above all things STAY HYDRATED!!!! Hladick sizzles to final four: Mike Hladick and Joe Mercieri were the last match of the Elite 8 to play, and this match was worth the wait! Both guys shot their own personal bests, with Mike outlasting Joe to win 1up, punching his ticket to the final four. Our final four consisted of players all representing different New England Team Challenge Teams. At the beginning of this bracket, The Bombers, Billygoats, Dacey Owls and Team RI were all represented, and it is pretty cool that one representative of each time made it to the final four! Members of all of these teams frequent Dacey leagues, so it was excellent to see all four teams represented in the Final Four! All four teams should be proud of their guy for representing them well! For the herd! : In our first match of the final four, Pete Violet of the Billygoats topped Dacey’s Scott Groome 3&1. 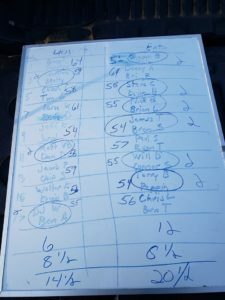 Hladick stays hot: After putting up a personal best against Joe in a nailbiter in the Elite Eight, Mike roared into the Final Four against Jarji Mosi of the Bombers. Mike continued his hot play, besting Jarji 6&5. The RI Anchor sunk another opponent en route to the finals! Third place is up for grabs: Although Scott and Jarji’s quest for Emporia has come to an end, there is still a trophy available for third place. Owl v Bomber for a trophy- make it happen! Mike had beaten his opponents by a combined 11 holes, an impressive run considering in every match he faced a Team Challenge player. Pete had beaten his opponents by a combined 11 holes as well. He also had the second largest margin of victory in the bracket, winning his Elite Eight match 7&5. Our champion is Pete! Pete saved his best for last, throwing his own personal best 55 to lift him to a 2up victory over Mike. Pete will be the representative from the Dacey bracket going to regional finals for a chance to win a trip to Emporia! In charge of regional finals is PDGA State Coordinator Bob Kulchuk, who will be taking it from here. Best of luck to you Pete as you continue your quest to Emporia! Thanks to all the players for playing! You can view the entire bracket by clicking here. United States Amateur Match Play Championship Regional Qualifier at Dacey! 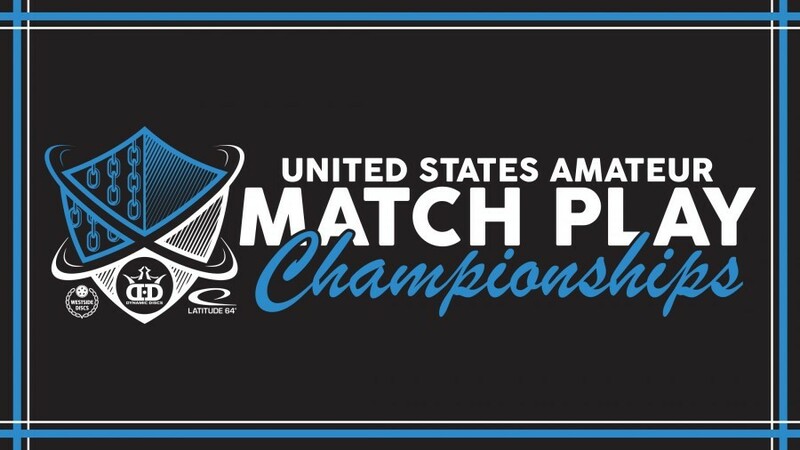 Earlier this year Dynamic Discs announced that they were going to run the United States Amateur Match Play Championships (USAMPC)- a series of 16 player brackets that would compete in match play rounds at the local course, regional and eventually national level to crown a champion and award them 18 tour quality baskets and discs for life! For those who are unaware, match play is a different way for players to compete with one another where the emphasis is on winning individual holes rather than tracking overall strokes. Match play is a staple of New England Team Challenge, which many local players currently play or aspire to play in. With so much interest in the area, taking part in this event was something that the admin team knew we should jump on! Family consistency: We had a father/son and husband/wife pairs in the bracket by sheer chance. The Lyons roared into the elite 8 as Mike won his match 9&8 and Tony advanced with his 4&2 victory. The Potrzuski family did not fare as well, as Mike lost a heart breaker to Zak Benson 1up and Jillian lost to Lyons Sr. 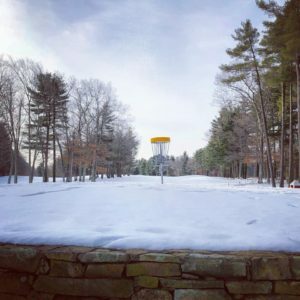 However, the Potrzuski’s turned the page on their losses last weekend by both winning their respective divisions in their first PDGA event up in Maine! Congrats to them! Vigeant nearly pulls the impossible: Although Alex Vigeant narrowly lost his first round match with Pete Violet, he was inches away from converting a nearly impossible feat. On his second shot on hole 7, Alex pitched an overhand out of the woods, rolled towards the basket where it hit a rock and skipped up and hit the top rung of the cage for a near roller birdie! I witness one shot of this match, and this was the one. Unreal. “Scotty Boom” comes from behind: Scott Groome trailed his elite 8 match going into hole 18, where he took the hole to send it to extras against Tony Lyons. Scotty took the match in the first hole overtime. 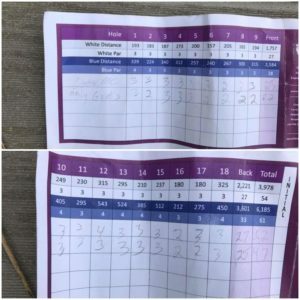 Valuable lesson of match play: It isn’t over till it’s over! Team Challenge experience matters: There were 8 players representing 4 teams in New England Team Challenge playing in this bracket. 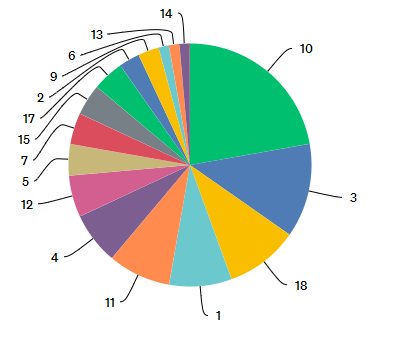 Of those 8, 6 advanced to the second round. While it is true that generally the stronger players in the area are asked to play for teams, this does show that familiarity with match play does matter. Further, Jarji Mosi of the Borderland Bombers has had arguably the hardest path thus far as he had to beat out Dean Slowey (Team Dacey) and Zak Benson (Team RI) to get to the final 4. Jarji has played TC for multiple seasons, whereas Dean and Zak are both in their rookie seasons. He will have his hands full with the likes of the winner of Mike Hladick and Joe Mercieri, who are both long time TC vets and both experienced and skilled opponents! If Mike wins, the final four will feature one member of The Borderland Bombers, The Borderland Billygoats, Dacey Owls and Team Rhode Island. How is that for TC parity? Stay tuned for updates after the final four!